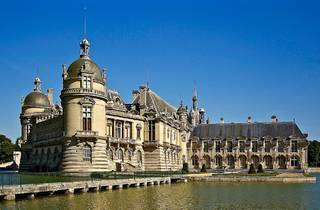 The Domaine de Chantilly is one of the most enjoyable day trips north of Paris. The estate was the home of Henri d’Orléans, the Duke of Aumale, who amassed one of France’s greatest collections of precious books, paintings and decorative arts. Today, as well as admiring the château’s galleries, you can visit the impressive suites, stroll the gardens and stop by the stables, which are now an equestrian museum. 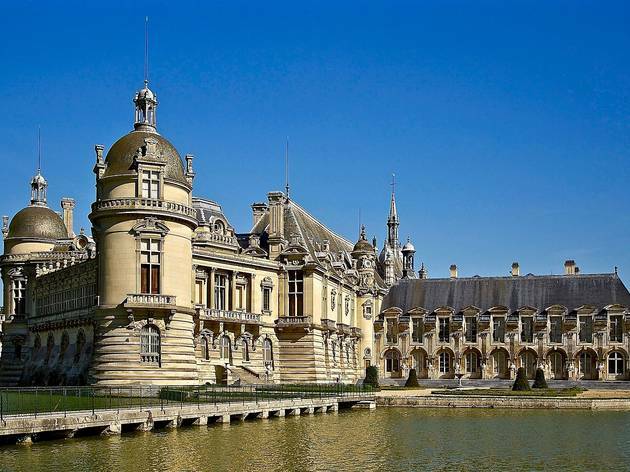 With its elegant turrets and wide moat, the Château de Chantilly could be straight out of the Loire Valley, rebuilt in Renaissance style in the 1870s. 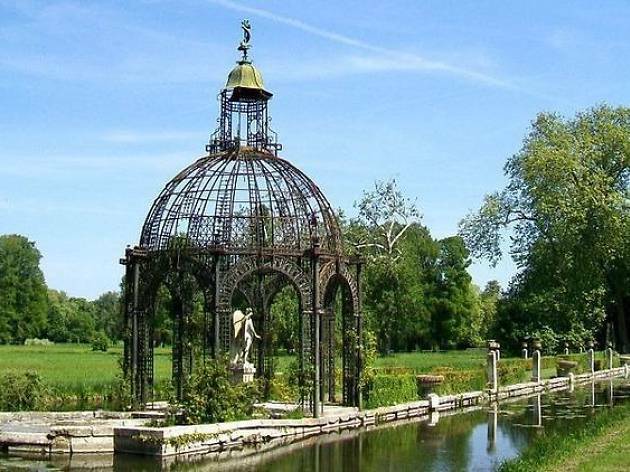 It was here that the Duke of Aumale lived after more than twenty years’ exile in London following the 1848 revolution. 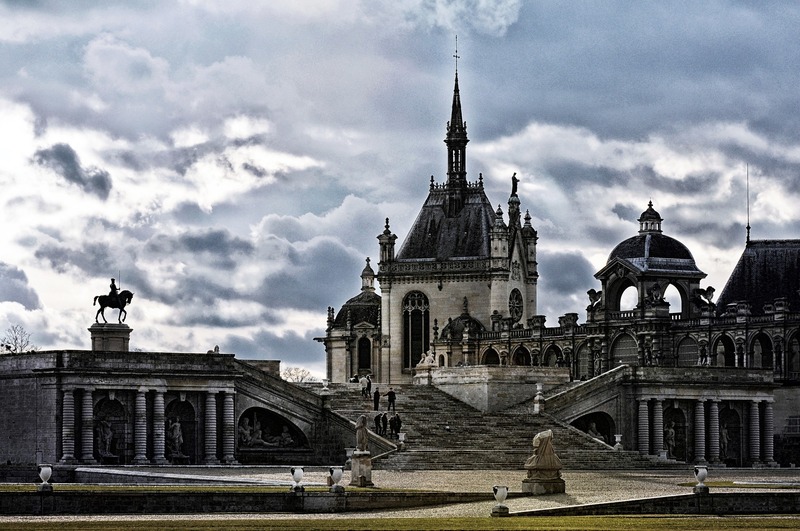 The son of the last King of France, Louis-Philippe, he is considered the ultimate collector of his time, and the range of paintings at Chantilly is second only to that of the Louvre. 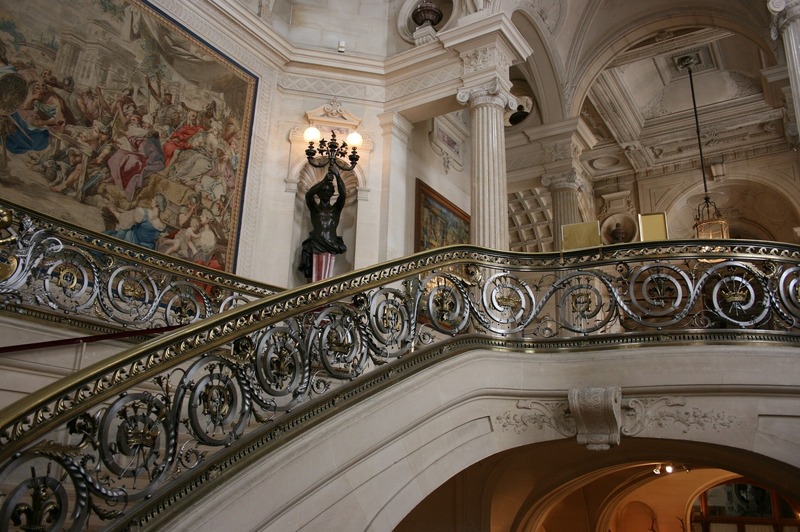 On his death in 1886, the Duke bequeathed his estate to the Institut de France, with the château opening to the public as the Musée Condé just a few days later. His collection is displayed (at his request) exactly as it was on his death. Look out for the Tribune room, modelled on the Tribuna in the Uffizi, where he installed eight ceiling panels displaying places of personal importance, including the Palais-Royal and Palermo. Romantics will love the Galerie de Psyché, built to showcase 44 stained-glass windows that tell the story of Cupid and Psyché, a rare example of non-religious work from the 1500s. 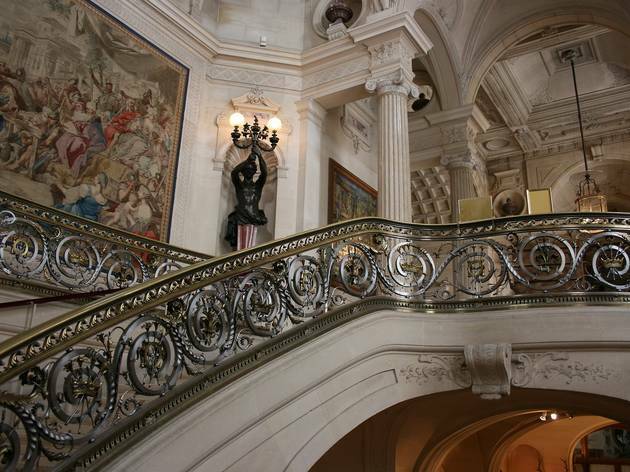 Beyond the art collections are the ornate suites, which could rival Versailles in their decadence. Check out the gaudy murals of the Grande Singerie, an 18th-century fancy that saw aristocrats depict their contemporaries as monkeys. 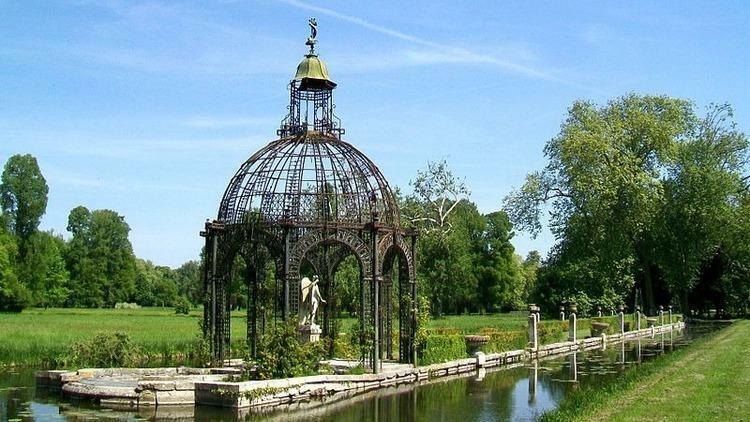 Covering 115 hectares, the gardens at Chantilly span several styles ranging from the wild and romantic English Garden, alive with birdsong in summer, to André Le Nôtre’s striking arrangement of pools, statues and lawns. More unusual is the Anglo-Chinese garden, where Jean-François Leroy built five rustic farm-style buildings 1773; these are said to have inspired Marie Antoinette to create her “hamlet” in the grounds of Versailles’ Petit Trianon. Kids will enjoy the maze and small playground, while green-fingered enthusiasts should time their visit with three-day gardening show, Les Journées des Plantes (19-21 May 2017). 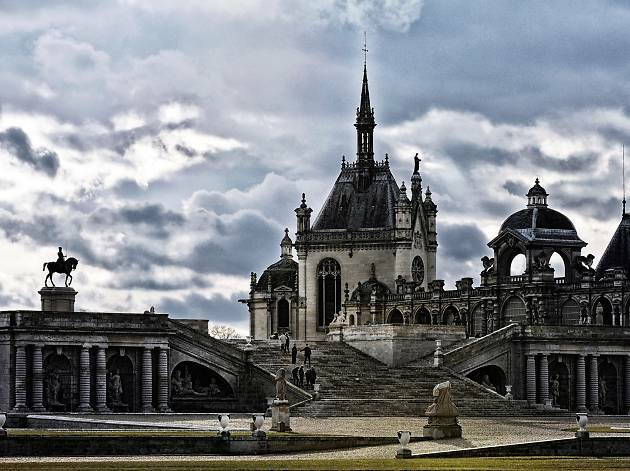 You could be forgiven for mistaking Chantilly’s Grandes Écuries (Great Stables) for the château itself. 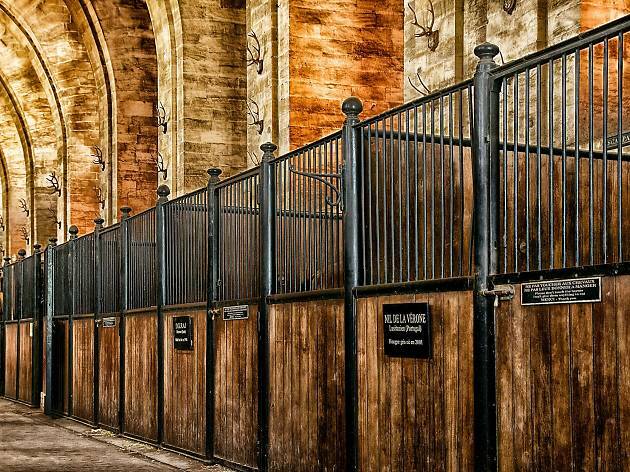 The largest stables in Europe, they are astonishing in scale, with thirty or so stalls still in use – one home to a tiny shetland pony delightfully named Ramses Le Grand. Today, the Musée du Cheval takes up the majority of the buildings. Modern and engaging, it uses audio snippets and video alongside traditional displays to cover topics such as the domestication of the horse and their role in the military. It will be of most interest to horse-lovers, but is worth at least a short visit. 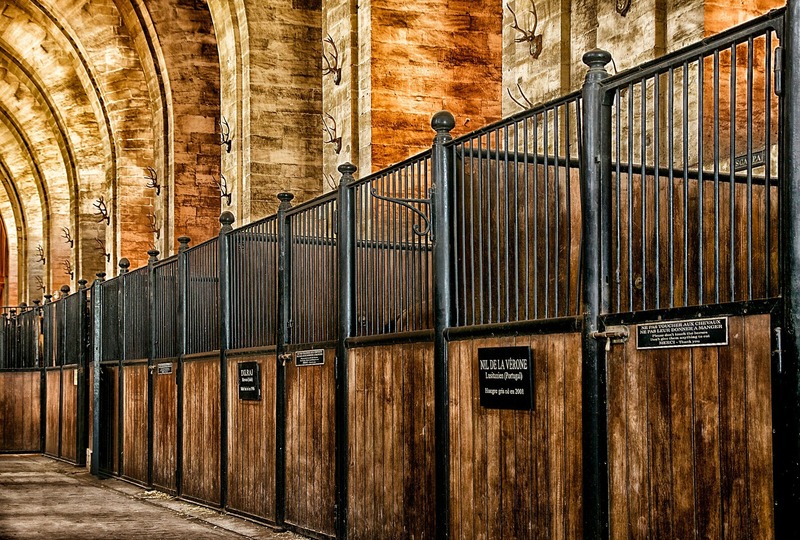 The stables are also famous for their spectacles, elaborate equestrian shows performed up to twice a week in high season. For more high-octane action, check the fixtures at Chantilly’s racecourse, just a short walk away. 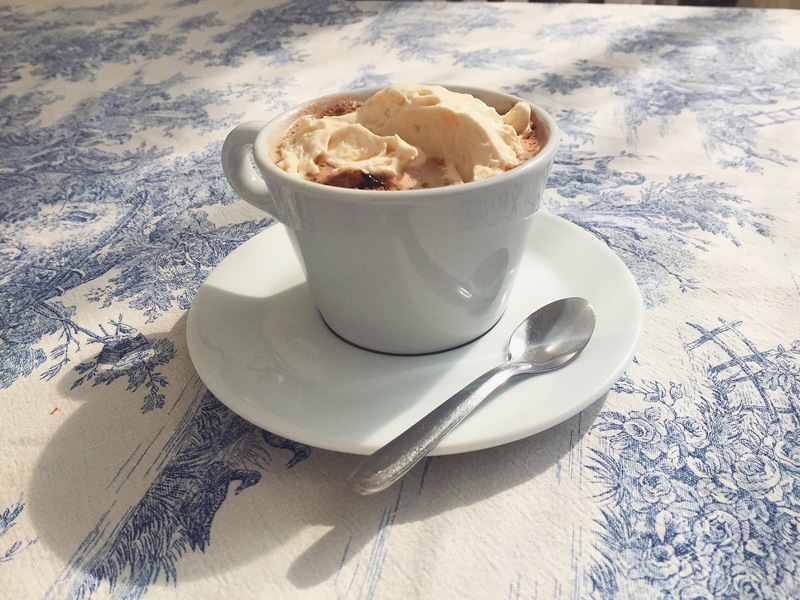 The celebrated crème Chantilly, whipped cream sweetened and flavoured with vanilla, was reportedly invented in the château’s kitchens in the 1670s. According to popular myth, the recipe was devised for a banquet to make limited cream supplies last longer. The Domaine’s garden restaurant, Le Hameau, is the classic place to try a dollop of Chantilly, but squarely aimed at tourists. We’d recommend just stopping for an indulgent Chantilly-topped hot chocolate. For a more modern take, head to pâtisserie Pascal Noppe (4 Place Omer Vallon) where you can pick up a savarin Chantilly. A dense and sweet rum baba topped with cream, it’s the perfect treat to take home. It takes 25 minutes to reach Chantilly-Gouvieux by TER from Gare du Nord. From the station, the most direct route to the château is a 30-minute walk along a well-signed but sometimes muddy path. Alternatively, it takes a few minutes longer to follow the main roads through the town, or you can hop on the free DUC bus which leaves 5-10 minutes after most trains. Entry tickets to the Domaine include the château, museum and gardens; separate grounds-only entry is available.